Like many technical areas, the world of investment has its own vocabulary. When talking about investment, looking through terms and conditions or comparing options, it is really important that you understand what is being discussed. 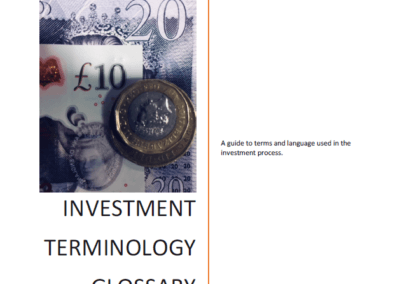 With this in mind, Key Fund created a guide to terms and language used in the investment process. This glossary aims to explain, in simple terms, some of the language you may encounter and what it means. This work has been funded by The Connect Fund.